IS SET TO DROP ANOTHER SONG THAT WILL SHAKE THE INDUSTRY ONCE AGAIN. WILL DROP SOONER THAN EXPECTED AS KING SOUJA OR PAPA SOUJA AS KNOWN BY A LARGE AMOUNT OF PEOPLE WITHIN AND BEYOND AREWA IS ABOUT TO SET THE RECORD STRAIGHT. 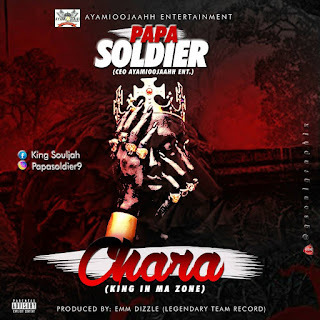 CHARRA WILL BE PREMIERED ON KROCKCITY DEGREES AND OTHER BLOGS WITHIN NIGERIA.